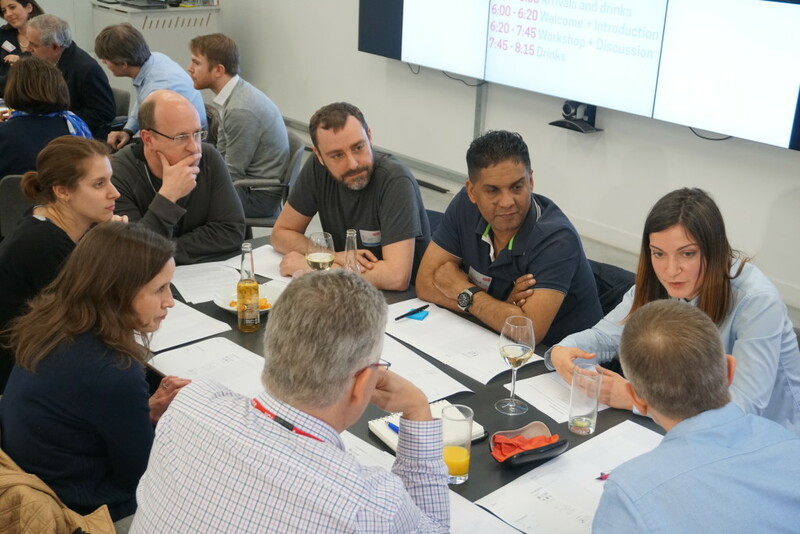 On Monday 3rd April, OrganiCity hosted a workshop in London to understand the challenges and opportunities involved in creating digital innovation projects with communities. Mapping the Experimentation Ecosystem was part of an ongoing series of events in London, Aarhus and Santander that are helping us set the direction for the 2017 Open Call and experimentation phase. 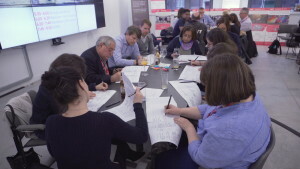 The objective of this workshop was understanding the ecosystem that is needed to support digital experimentation in London. Who should be involved to ensure projects respond to community needs? What skills are needed to design projects that are both technically and socially innovative? What resources are required to deliver projects that are sustainable and have impact? 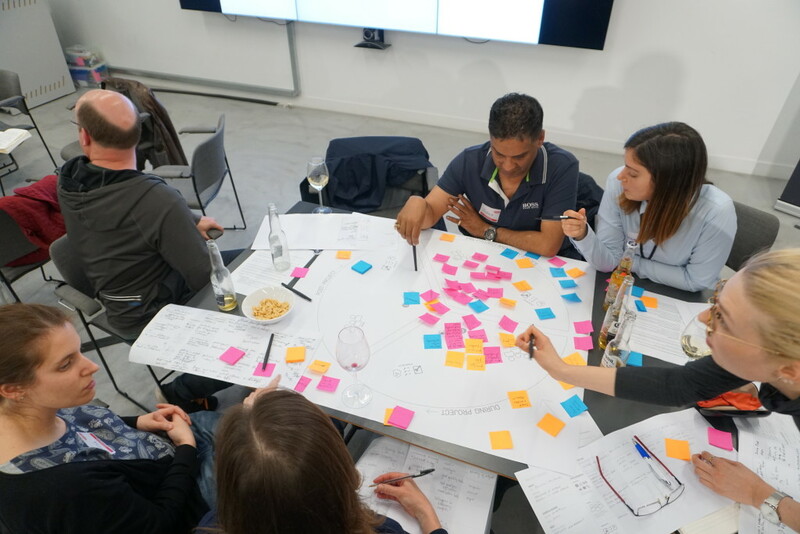 The workshop brought together more than 30 Londoners to discuss these questions and share learnings from their personal experience working on digital innovation projects. We invited innovators, experimenters–including participants from our last open call–community organizations, and local authorities in London. Attendees were divided into mixed groups for the duration of workshop. The first part of the workshop was grounded in personal project reflection. Participants used a real-world example to fill a Project Canvas, which included a summary of what the project was about, key stages, and the resources and requirements needed along the way. Participants then took turns sharing their projects with other members in their group to make everyone familiar with each other’s projects and enable discussion. 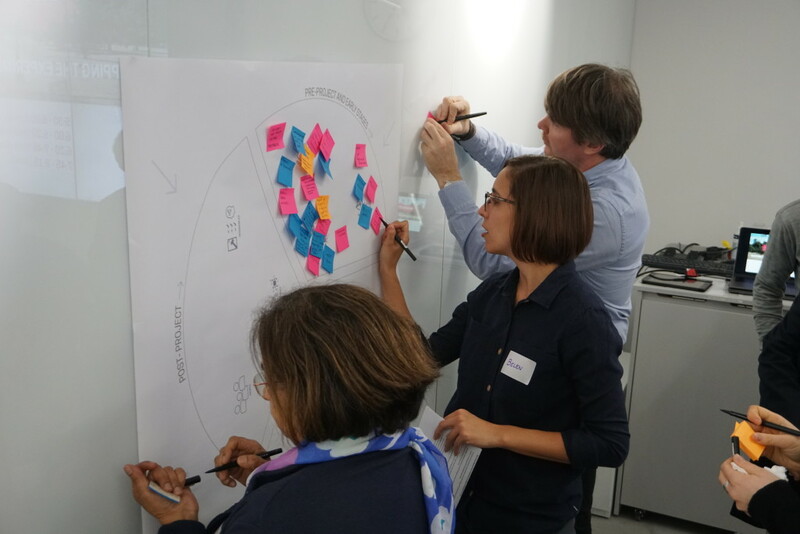 The second part of the workshop was focused on group conversation: mapping resource needs and challenges encountered in the pre-project, project delivery, and post-project stages. 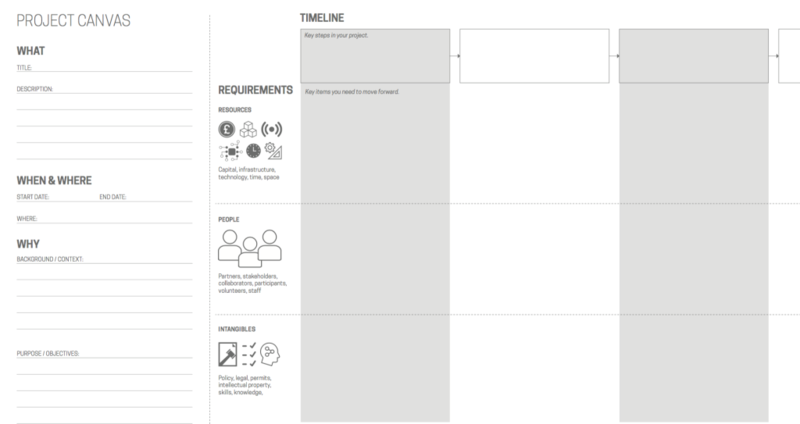 We used an Experimentation Ecosystem Map to guide participants through mapping their individual project requirements and priorities onto a common space. Colour coded sticky-notes were used so that contributions from experimenters, communities, and local authorities could be easily distinguished. Mapping unfolded in stages: beginning with context (external forces and motivating factors) followed by requirements (people and resources), and sequentially through pre-project/early stages to post-project. 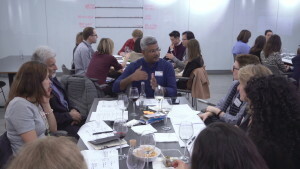 After each round of mapping, facilitators asked participants to identify roadblocks they encountered trying to access resources and prompted conversation within the group about solutions. These conversations were documented by the facilitators and annotated on the map. A common space (physical and digital) enables ownership and sharing experiences. We have so far used Slack in our experimentation and will work to enable better practices for sharing across experimenters and promote peer-to-peer learning. It’s difficult to meet the right people, with common values and complementary skills. We have hosted several events across our cluster cities and will continue to work further on involving those which might not have reached OrganiCity yet. We are currently working on a framework to represent existing active communities across our cities, so that they become visible to those who have the skills and drive for technological innovation (even if they might be located abroad and be unaware of the local context). This can also apply to innovators or people with technical expertise. Innovators need support in dealing with local authorities. This is an intricate aspect in London, given the complexity of governance and how we are the only city team which doesn’t include authorities. We are working to bring champions of innovation in local authorities on board into OrganiCity to support experimenters. The OrganiCity team is spread geographically and knowledge is distributed, so it’s difficult to know who to contact for what. We have so far used a contact point in each city, but there are too many experiments to keep close contact. We will be trialing a ‘mentoring’ system so each team member follows 2 or 3 experiments and report back on their progress. These and other insights have been captured and summarized and will be used to inform the shape of the Open Call starting this summer. Feel free to get in touch at info@organicity.eu if you are part of a community in London, Aarhus or Santander that you would like to see in our future community map. Sign up to our newsletter to learn about future events.